In Ecuador, an emergency terminal set up by Quiport has led efforts to help the tourism industry to recover after the earthquake. The city of Manta, one of the main tourism destinations in Ecuador on the shores of the Pacific Ocean, was disconnected from the rest of the country by air after the 7.8 earthquake which hit on April 16th and left the passenger terminal of the city’s airport unusable for commercial flights. Some of the best beaches in Ecuador are found in the province of Manabí and it is famous for its gastronomy and the warmth of its people who have found one of their main sources of income in tourism. 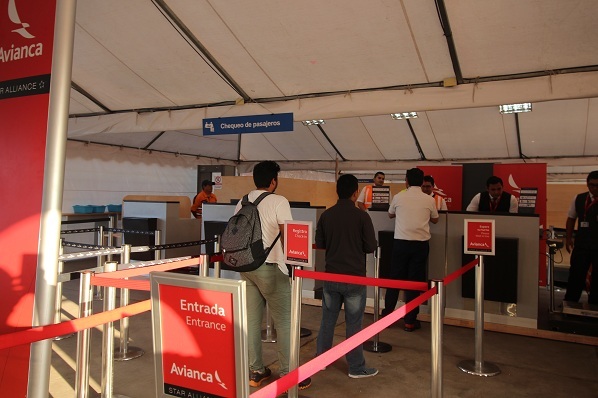 The resumption of flights was made possible by setting up an emergency passenger terminal constructed by Corporación Quiport, concessionaire of Quito International Airport, in coordination with the General Directorate of Civil Aviation and with the support of Avianca as a way of helping the country during this emergency. A team of airport engineers and technicians visited Manta to perform the initial evaluation which allowed the project to be prepared. Having established the needs to be met, nine technicians from Quiport travelled to Manta on Friday, April 22nd to realise the work in just one weekend. First they brought electricity and the communications system to the location with the support of CNT. Then they set up the tents to accommodate the terminal areas and installed the equipment retrieved from the damaged terminal which had fortunately survived intact. The emergency terminal, located on a platform next to the building damaged by the earthquake, has the basic infrastructure to carry out the processes involved in the departure and arrival of passengers including airline passenger check-in, security screening, departure lounges and baggage collection area. Once ready, the emergency terminal was handed over to the General Directorate of Civil Aviation on Sunday, April 24th in order to begin operations immediately and enable the revival of tourism not just in this city but in a series of areas which traditionally receive many visitors who come to enjoy the beaches and gastronomy. 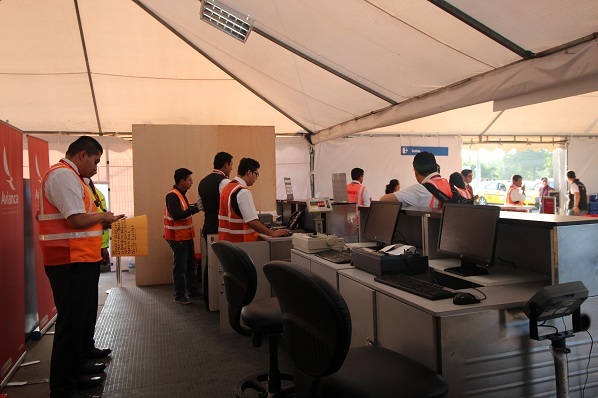 The emergency terminal in Manta began to operate on Monday, April 25th and will continue to do so until a medium and long-term solution has been designed to recover the infrastructure affected by the earthquake. Thanks to the emergency terminal, commercial flights by Avianca and the national flag carrier Tame have resumed. The government has launched a campaign to revive tourism in the zone by means of “solidarity tours”. These tours involve day visits to the province of Manabí to support the inhabitants who find that tourism is an ideal way of re-starting the economy of the region. The best way to help the rebuilding efforts is precisely by reviving the tourism industry and visiting Ecuador and its tourist attractions. Mariscal Sucre International Airport is currently nominated for the title of South America’s Leading Airport at the World Travel Awards. Head over to the official website to vote.